Kids’ music has come a long way from the says when its creators were expected to treat their listeners like tiny little mental patients, but even in this golden age of non-nauseating listening choices for parents, some of the old rules still apply. For instance, most kids’ album artwork is still done in bright colors, and filled with pictures of performers proudly displaying open-mouthed grins — and the songs themselves often tend to be overly sweet or self-consciously wacky. As adults, we often count ourselves lucky if we can remember our younger, sillier selves, but what we forget is that kids don’t always feel like acting goofy, and even though they think fart jokes are funnier than the average adult, they’re also capable of serious thought and occasionally startling insight. 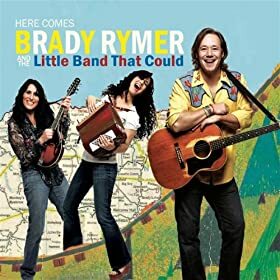 Brady Rymer‘s latest release, Here Comes Brady Rymer and the Little Band That Could, shouldn’t exactly be your first stop for serious thought or insight, startling or otherwise — but it doesn’t pander to its audience, either. This is relatively smart pop music that just happens to be aimed at kids, and although it lacks the sort of crossover non-breeder appeal enjoyed by, say, They Might Be Giants, it’s still a deeper, more relaxed, more thoughtful collection than you might think after looking at the cover. This is no accident; as a member of From Good Homes, Rymer released a handful of rock records in the ’90s, and toured with big names like Davids Byrne, Crosby, and Matthews. He calls his songs “music for kids with a rock ‘n’ roll heart,” and even if that overestimates the material’s actual rock quotient, it’s close enough to the truth to explain how he’s managed to make five kids’ albums (and counting). He’s a likable frontman with an honest voice, and the songs have some wonderfully positive energy; Rymer even has the good taste to end the disc with a cover of Pete Seeger’s “Well May the World Go.” Your kids probably won’t care about that last item — at least, not unless they’re like my three-year-old Seeger groupie of a daughter — but they’ll still enjoy Here Comes Brady Rymer and the Little Band That Could, and so will you. 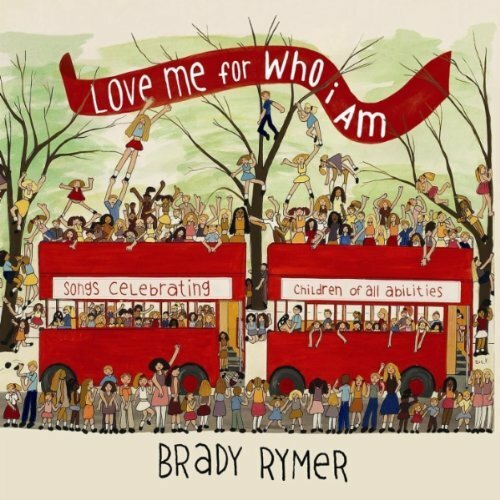 This entry was posted in Music, Websites and tagged Brady Rymer, CD Review, Jeff Giles on January 25, 2009 by Jeff Giles.